***Linking up with MamaKat today: A movie you loved as a child. Growing up in a very small town, you quickly learn that nothing exciting happens. Add in the fact that you live out in the middle of nowhere with no friends close by and you’re really hard up for entertainment. My sister, who is four years younger, and I would play cards and board games, make up dances and lip synch to Madonna and Michael Jackson, ride bikes up and down our super long driveway, read Babysitter’s Club and Encyclopedia Brown and play with Cabbage Patch kids. We really enjoyed ourselves but were, of course, always looking for something else to do. One thing we always looked forward to was our hour of T.V. on Saturday nights. I have to explain to my kids all the time that there was a time when you had to wait for T.V. It wasn’t at your instant disposal. We’d get our bowl of popcorn or half of an ice cream sandwich and sit riveted a we watched Ricky Schroeder zoom around his living room on his train. Going to the movies was a once a year special treat. Maybe twice a year if Grandma took us. Imagine our excitement when we got our first VCR. We all went to the store in the “big city” to pick it out and purchase it. I remember being utterly confused as to what it was exactly and how it worked. When it finally clicked, I was beyond excited. I soon discovered that living in a small town has another down side: a very small amount of movies to rent. We would go to the appliance store downtown and in the front of the store, there was a small rack with a limited amount of movies to rent. One of the first times we were allowed to rent a movie, my sister and I picked Girls Just Want to Have Fun with Sarah Jessica Parker and Helen Hunt. As soon as we walked in the door, we popped it into our new VCR and were instantly riveted. The best part was the dancing. At this point in our lives, after hours of dance lessons and our own creativity with dancing in the basement, we were convinced we would be Solid Gold dancers some day. Here was our proof! SJP’s character, Janie, was just a girl who happened to luck out at an audition and was now dancing on T.V. It could happen! Helen Hunt’s character, Lynn, was quirky and weird and said words like “horny” and fascinated us both. Add in the cute bad boy and the villain girl with the closet that moves and a debutante ball and we were hooked. They were cool, they snuck out, they wore make-up. It was more than two little girls in a small town could dream of. We watched that movie over and over again until it was time to take it back. Because of the limited selection at the appliance store, and our fascination with this movie, we rented it almost every single time. We learned all the words, all of the characters’ nuances, all of the dance moves, everything. We worshipped that movie. Over the years my sister and I had a few absolute favorite movies that we would watch over and over again and memorize. My Mom still teases us about it. I’m not sure why we liked to watch a movie to death, but we did. To this day, my sister and I can still say every word to Girls. To this day, it’s still one of our all-time favorites. I love to watch it now and remember those two little elementary-aged sisters watching and dreaming and bonding. It was our way of seeing the big world from our small little town. I tried to have the kids watch it with me, knowing full well it wouldn’t have the same appeal, but hoping they would at least like it a little bit. Alas, they didn’t want to watch it. My Mom and I always comment on how the kids like to watch the same movies over and over again. Maybe it’s in our blood, who knows? But I know that, when they are older and have kids, they’ll have the same fond memories that I do of sharing a great movie with a sibling. Happy Birthday (a day after…but hey, it goes with the post!) 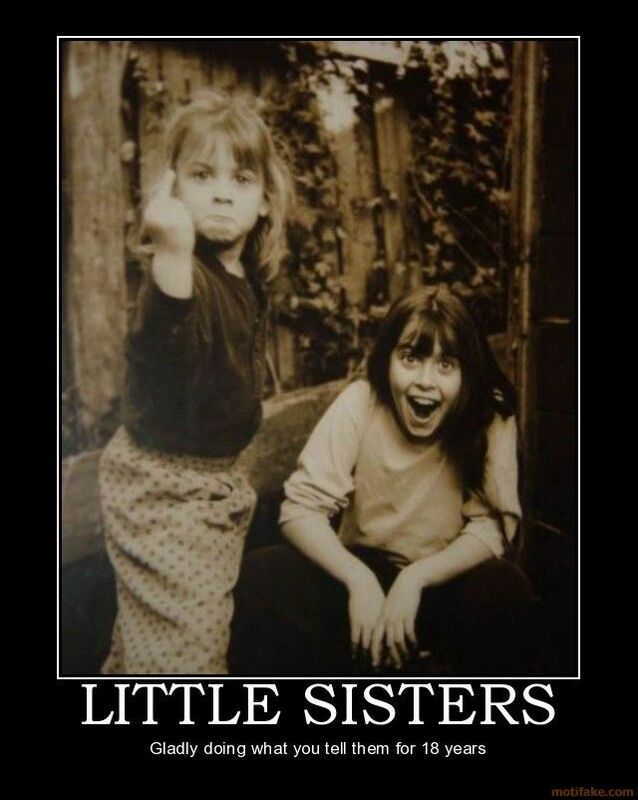 to my little sister, Hilary!!! I love you! Wow, it sounds like we went through the same things in the 80s! lol Who didn’t want to be a Solid Gold dancer? I’m sure I saw this movie, but don’t remember it. I tried sharing some movies from my youth with my girls and they weren’t impressed. hahahaha It’ll happen to them when they have their own kids and try sharing their favorite childhood movies. =) I shared about one of my favorite movies, too! Oh I remember getting our first VCR like it was yesterday. It totally changed tv/movie watching for me too. Up until that point, I think I had been in a movie theater maybe a half a dozen times in my life.